When you are searching for “Transmission Repair Scottsdale” our certified team of transmission repair technicians can help! We offer both transmission repair and transmission maintenance to keep your vehicle running smooth. 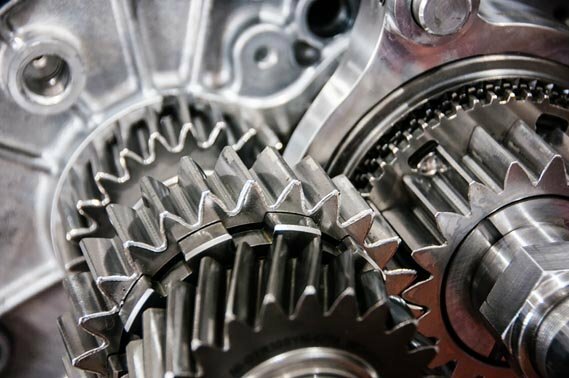 Whether your vehicle won’t shift, you feel gears slipping, there’s a burning smell, you feel grinding, or hear unusual noises we can help find the transmission problem and repair it. 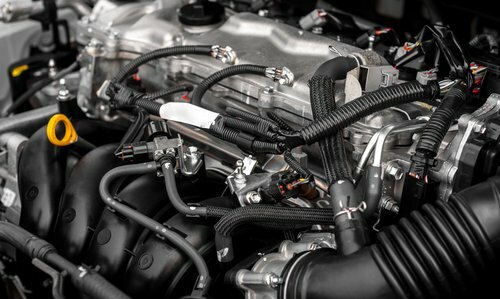 Replacing your transmission fluid and filter according to your vehicle manufacturer’s recommendations helps preserve the life of the transmission and helps maintain your vehicle’s warranty. Transmission fluid lubricates, cools and cleans internal transmission parts. Additives in the fluid can deplete over time, so auto manufacturers recommend that a transmission flush, fill and fluid change service be preformed periodically. The transmission is a device that is connected to the back of the engine and sends the power from the engine to the drive wheels. A car engine runs best at a specific RPM. Its job is to make sure power is delivered to the wheels while at the same time, keep the RPM’s within range. This is accomplished with various gear combinations. While in first gear, the engine turns a lot faster when compared to the drive wheels. In high gear, the engine is loafing even if the car is going more than 75 MPH. All transmissions have a neutral position which disconnects the engine from the drive wheels. The reverse gear allows you to back up by causing the drive wheels to turn in the opposite direction. 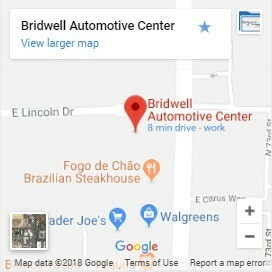 Bridwell Automotive provides excellent transmission service and repair to keep your vehicle performing at its best and to maintain its value. You should change your transmission fluid regularly to get good automotive performance in our Scottsdale driving conditions. 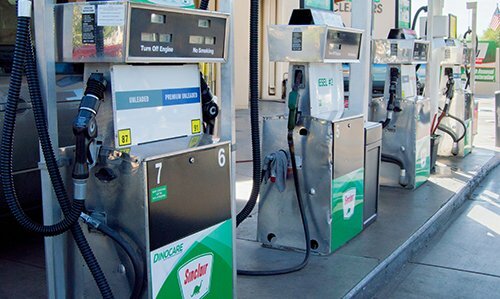 The recommended mileage could be anywhere from 15,000 to 100,000 miles. 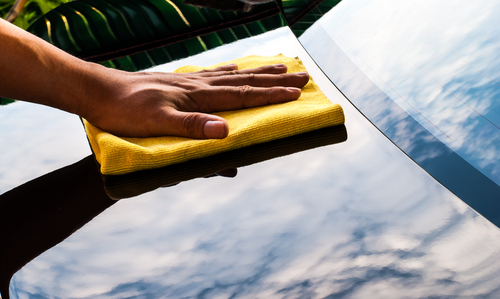 Many experts recommend changing the fluid and filter every 25,000 miles. While some transmissions have drain plugs to remove the old fluid, most require a technician to remove the transmission oil pan. This is a messy job that Bridwell can take care of for you. When the pan is removed, the technician checks for metal shavings and debris. These are indicators of impending transmission problems. Usually only about half the oil is able to be removed from the unit. Much of the oil is left in the torque converter and cooler lines. Bridwell will make sure that the correct fluid is used to re-fill the transmission, using manufacturer quidelines. If a transmission is shifting too early or too late, it may require an adjustment to the throttle cable. Throttle cables rarely go out of adjustment on their own. Mis-adjustments are usually due to other repair work or damage from an accident. Many problems that seem to be transmission problems disappear after a tune-up or engine performance related repair is completed. Planetary Gear Sets – mechanical systems that provide the various forward and reverse gear ratios. Seals and Gaskets – used to keep the oil where it is supposed to be and prevent oil leaks. Torque Converter – acts like a clutch to allow the vehicle to come to a stop in gear while the engine is running. Hydraulic System – controls the clutches and bands in order to control the planetary gear sets. Throttle Cable – monitors speed and throttle position in order to determine when to shift. Change the Filter and Oil: Both inside the transmission and about 30% to 40% of the oil. This method is the only way to look at internal wear in a transmission. As the transmission wears down, metal debris will collect in the filter and on a magnet that is placed inside the transmission. Examining these two parts can give a technician important information that no other method can provide. The only drawback is that all of the fluid is not changed. We mitigate this problem by adding a fortifying agent such as BG Transmission Conditioner. Flush ALL Transmission Fluid: It is a good way to change transmission fluid. But it does not give the technician a chance to see the filter. The filter may show evidence of transmission damage, and simply flushing the transmission fluid will not reveal this wear and tear. We advise the use of this method only in newer cars. Drain and Refill SOME of the Fluid: Many manufacturers provide a drain plug to drain transmission fluid just like motor oil. However, when draining your transmission fluid in this manner only about 30% to 40% of the fluid gets changed at a time. Because of this, we recommend that during the third year, or at 30,000 miles, you begin draining and refilling once a year to keep your transmission fluid at the proper levels, and your transmission properly inspected for wear. If your vehicle is shifting hard, not going into gear, or you’ve noticed signs that a transmission flush is needed call today to schedule your service. Our team of ASE certified technicians have the tools, training, and experience to diagnose a transmission problem and repair is properly. To schedule your transmission service call (480) 948-4781 or fill out a our contact form.